Superintendents play a large role in the formation of relationships and networks within their neighborhood; and yet, no study in social science has focused on them. Williams closes this knowledge gap through ethnographic fieldwork, providing an in-depth analysis of the daily life... read full description below. Superintendents play a large role in the formation of relationships and networks within their neighborhood; and yet, no study in social science has focused on them. 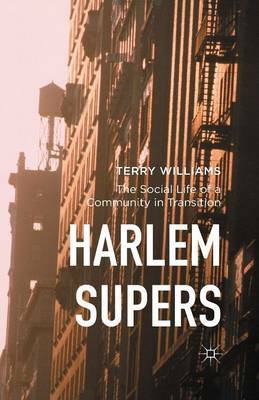 Williams closes this knowledge gap through ethnographic fieldwork, providing an in-depth analysis of the daily life of superintendents in the lower Harlem area in New York City. Terry Williams is Fellow at Yale University, USA, and Professor at the New School for Social Research, USA.